I’ll admit, if you’d asked me what I thought of graphic novels a decade or so ago, I’d have muttered something non-committal about superheroes not being my thing, and I pretty much assumed they were books for people who didn’t like reading. I was so, so wrong. Nowadays, you can’t move for actors and writers ‘coming out’ about their passion for comic books and graphic novels. Comedian, Stewart Lee, has spoken about his lifelong devotion to Marvel’s ‘The Incredible Hulk‘ comic books, and Lenny Henry is a massive fan of Warren Ellis, (‘Transmetropolitan‘ is the most well-known of his work). My own ticket into the world of graphic novels was born out of my interest in Kung Fu. I chanced upon an omnibus of a series of fun martial arts manga – ‘Naruto‘ by Masashi Kishimoto, and I was hooked. Since then, as well as dipping into other manga series I’ve discovered some incredibly powerful graphic novels that are poignant and thought-provoking, and I’m always on the lookout for more. I definitely think there’s a place for some of them here, so watch this space. 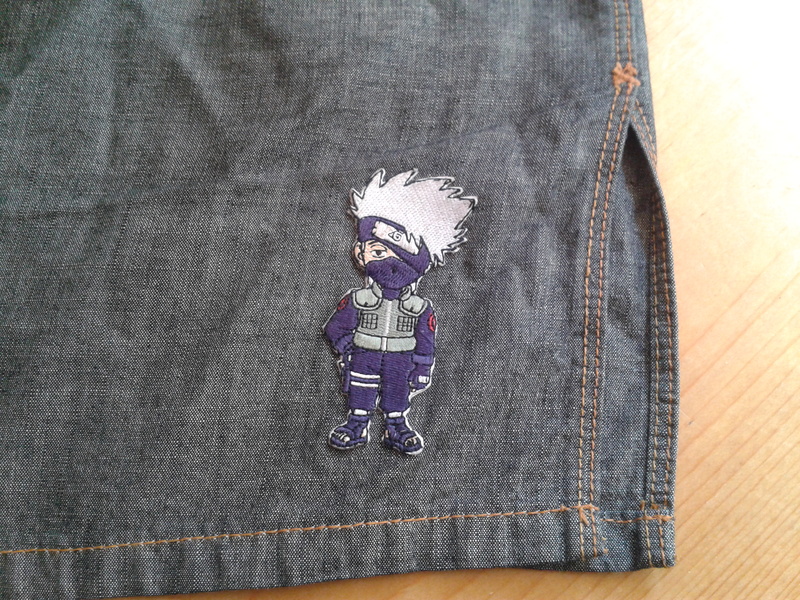 I loved ‘Naruto’ so much that I had to get a patch of his teacher Kakashi Hatake for my skirt, because that’s the kind of thing you do when you’re 45. ← Something tells me Beowulf may not be based on a true story. Love the patch! I ordered a Death Note backpack from abroad for Eleanor to take on her first day at a new high school as a surprise, as a girl can get through being new if she just has the right accessories. Oh my gawd, I would Kill for an imported Death Note backpack! (and when I say kill, I mean write a name in a magic notebook. Murder by stationary almost makes a life of crime sound appealing! 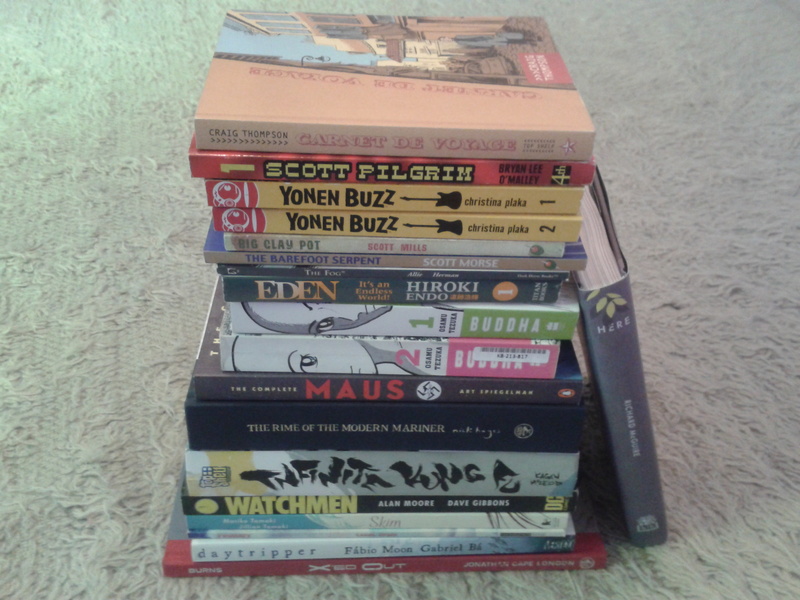 Nice mix of stuff there, Maus is pretty powerful and Watchmen is great, the graphic novel that got me into them. 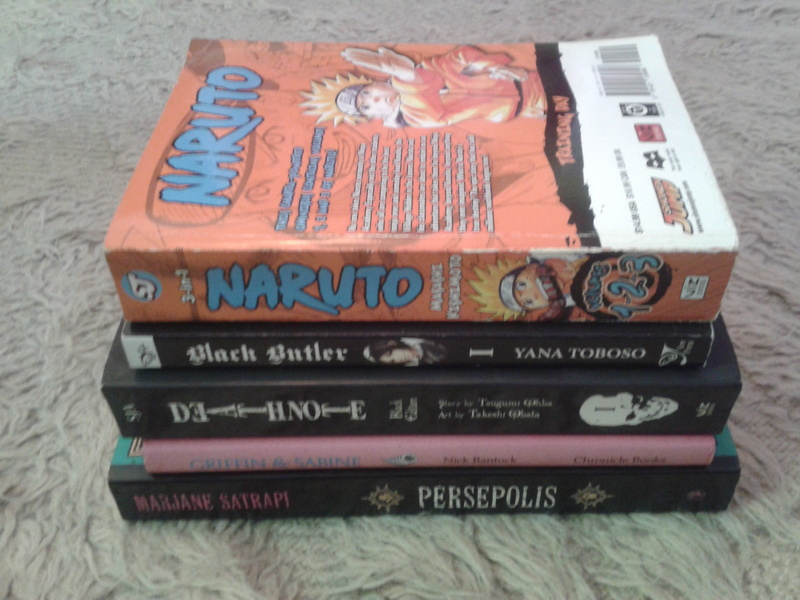 Manga is the undiscovered country for me but I may have to look at Naruto as you are so taken with it.